This is an 4″ to 6″ tall, erect, perennial forb rising from a scaly, underground bulb. There is no central stem. The	leaves are all basal. They are on purplish, usually hairless, sometimes hairy, up to 4″ long leaf stalks. They are palmately divided into three leaflets. The leaflets are ¼″ to ¾″ long, ½″ to 1″ wide, and inversely heart-shaped with the attachment at the narrow end. The upper surface is grayish green or purplish green and hairless, sometimes with a band of purple spots. The lower surface is purple and hairless. The margins are untoothed. The leaflets open and spread outwards during the day. They fold closed along the midrib and droop downward at night. They also close under intense sunlight. They repel water, so that after a rain they look dry with water beads on the surface. The inflorescence is an umbrella-like cluster of 4 to 15 flowers held well above the leaves. They rise from the ground on 4″ to 8″ long, erect, leafless, hairless or hairy flower stalks. 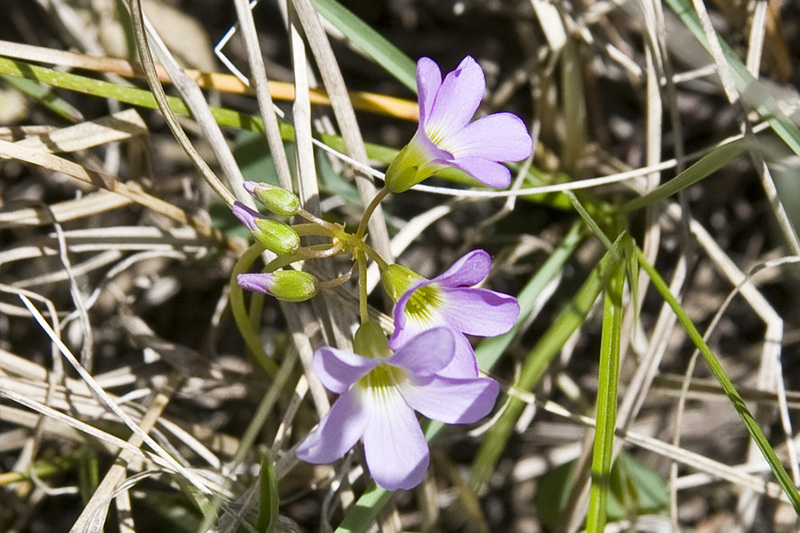 The flowers are ½″ to ¾″ wide and bell-shaped. 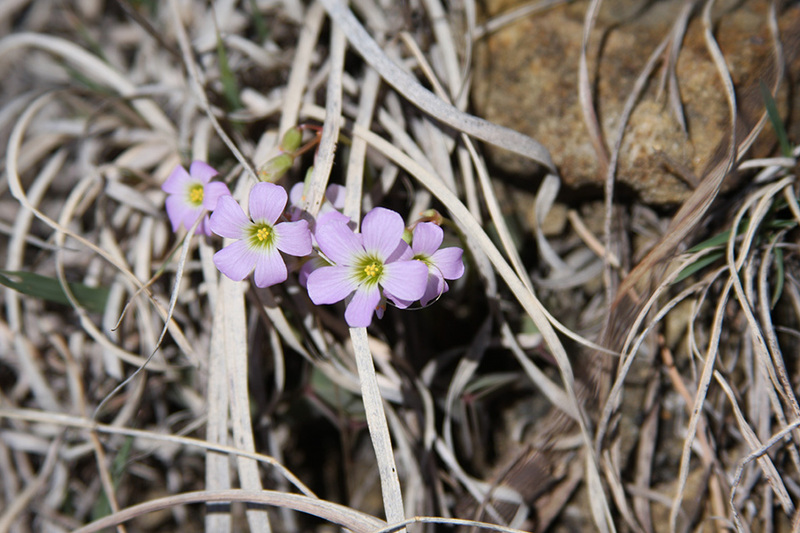 There are 5 short sepals that are not visible from above. The sepals have orange tips. 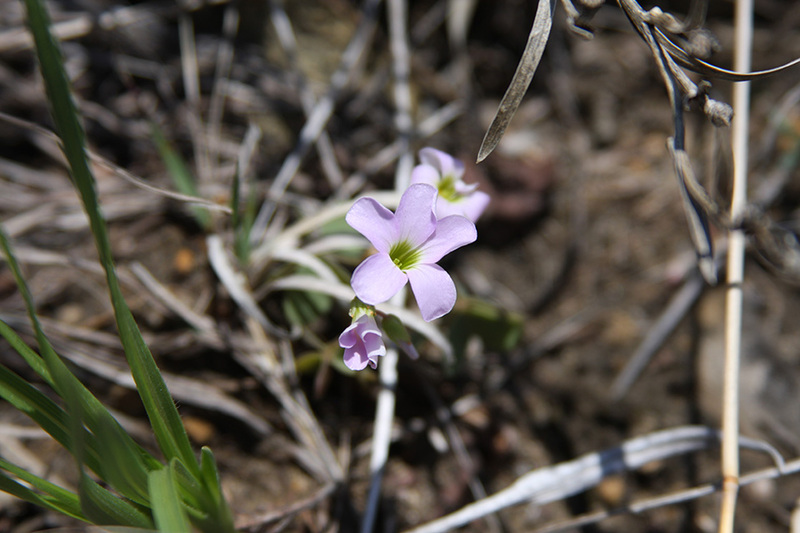 There are 5 petals fused at the base into a short tube, then separated into 5 long, spreading lobes. 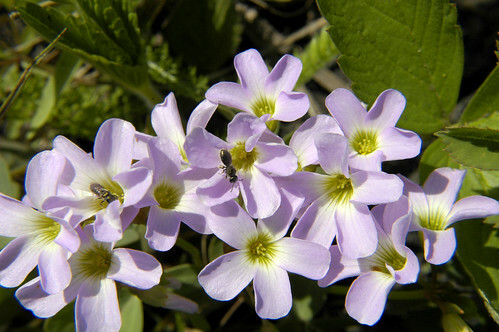 The petals are pink to violet with purple veins, white near the center, and green at the throat. There are 10 stamens, 5 long and 5 short, with yellow anthers. The flowers close at night and on overcast days. There is no floral scent. The fruit is a, egg-shaped capsule, up to ¼″ long, with numerous seeds. This is the only sorrel with pink to violet petals in Minnesota. This is about an hour and a half real time compressed to 50 seconds. 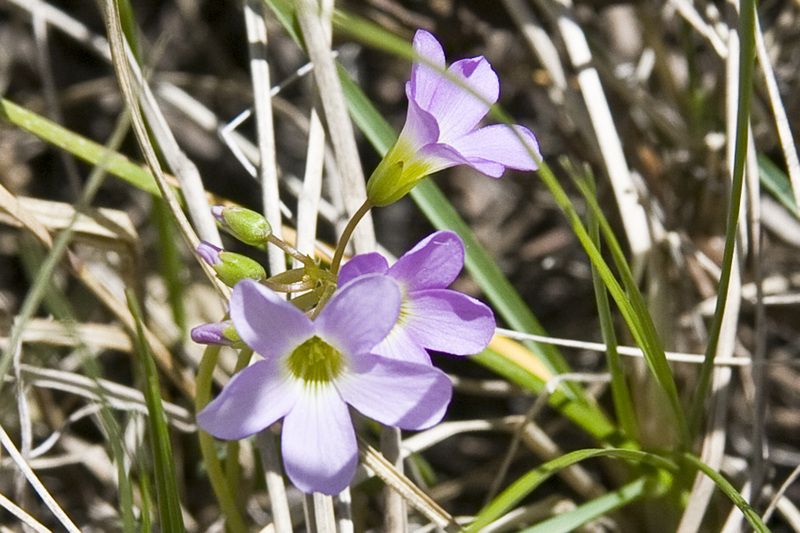 Violet Wood-sorrel (oxalis violacea) Next time I will examine them a bit closer and cut out the non viable blooms.